The effects of meridian damage can be understood by Western practitioners who are trained to recognize invisible, energetic pathways and how they sustain health. When a physical or environmental force damages a meridian, the related condition is more extreme and difficult to fix. Lymphedema, a sports injury, and side effects from cesarean section are examples. When detecting cancer or its spread, lymph nodes under a patient’s arm are often excised for examination. A common side-effect is edema, or swelling, of the arm caused by excess fluid trapped in the body’s tissues. Treating lymphedema is a challenge. In Western medicine, the preferred remedies are massage, sleeves, or drainage. From an Eastern viewpoint, I will explore a different approach to treatment and healing. Chinese medicine practitioners look at the body as an integrated whole with an internal network of invisible energy pathways called meridians. Diagnosis involves identifying an ailment’s location and its associated organs and meridians based on a framework grounded in Five Element Theory that goes beyond the body’s physical aspects. The location under the arm is related to the Heart meridian–one of the more important regions of the body. A unique duty performed by both the Heart and the Kidney is controlling water function. When a patient undergoes lymph node surgery, the Heart meridian is damaged, causing a Heart function disorder. This damage directly impacts the relationship between the Heart and Kidney. Water distribution becomes compromised. This is when we see edema. Additionally, the origin of other patient complaints may remain hidden because neither the patient nor the doctor has the knowledge to see the connection between them and a Heart meridian function disorder. These can include fatigue, insomnia, digestive system disorders, the pinky finger feeling locked, and an inability to carry packages. When playing a contact sport, an athlete can take a hit to the chest. Soon after, a chronic cough develops that doesn’t appear to be connected. Medical tests reveal no cause. From a Traditional Chinese Medicine perspective, one of the Lung’s integrated, multidimensional responsibilities is to unconditionally support the Liver. The blow may have struck one of the major acupuncture points on the Liver meridian, which runs across the chest. Without treatment, more serious physical and emotional conditions can result including stomach disorders, failing strength and physical performance, and protracted anger. Sometimes during delivery, a pregnant woman requires a cesarean section. The surgeon makes an incision in her abdomen and uterus. After, she expresses breast milk, but her milk production is compromised from damage to the Stomach and Belt meridians found in this area. A broad range of physical and emotional consequences can arise well into the future, including depression, lower back pain, menstrual and hormonal disorders, and difficulty becoming pregnant again. Using a Chinese medicine framework, certain factors are taken into account to develop a treatment plan. To heal the root causes of these conditions, the meridian level must be considered. Without this approach to healing, the patient may only find relief from symptoms, and the root cause goes unaddressed. To shore up the body, I prescribe certain foods and Chinese herbs. They support the material level—the physical level we see or feel. On the nonmaterialized level, which is the energetic level, I teach specific Qigong movements and administer acupuncture. Both modalities directly help heal the meridians and can work in a complementary fashion with Western medicine. 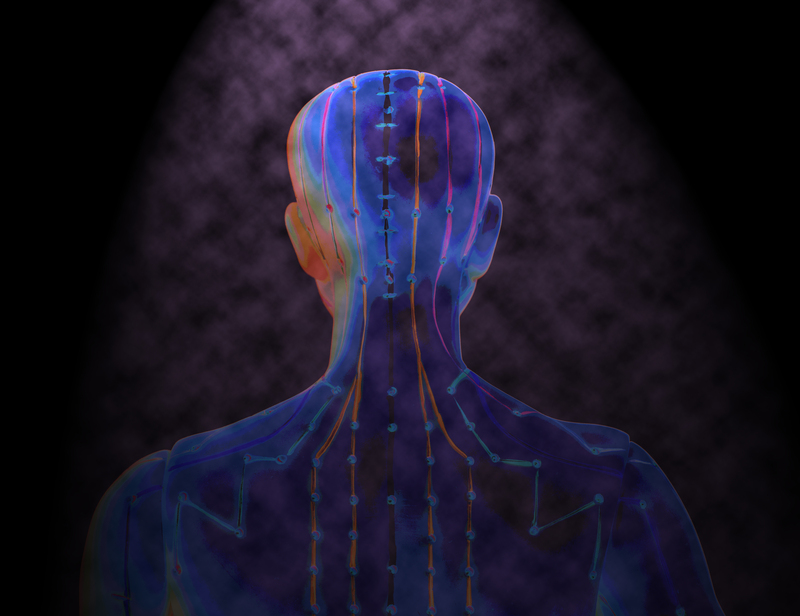 More can be learned about these concepts, including meridians, organ function, and Five Element Theory, at https://www.tcmworld.org.